Fully loaded for all of your outdoor adventures. 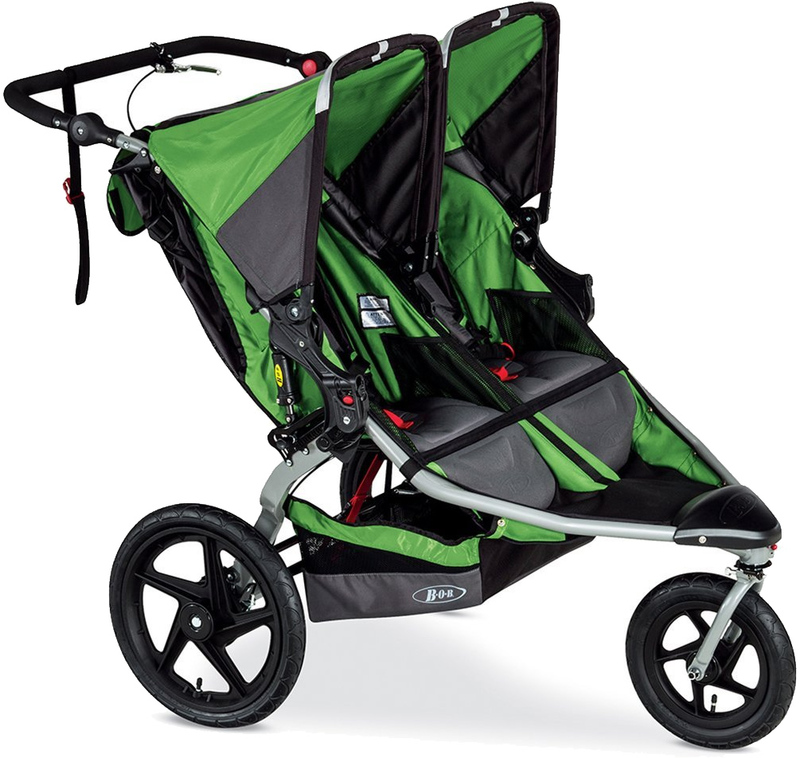 The Revolution PRO, with its hand-activated rear drum brakes, is perfect for conquering any steep hill that stands in your way. 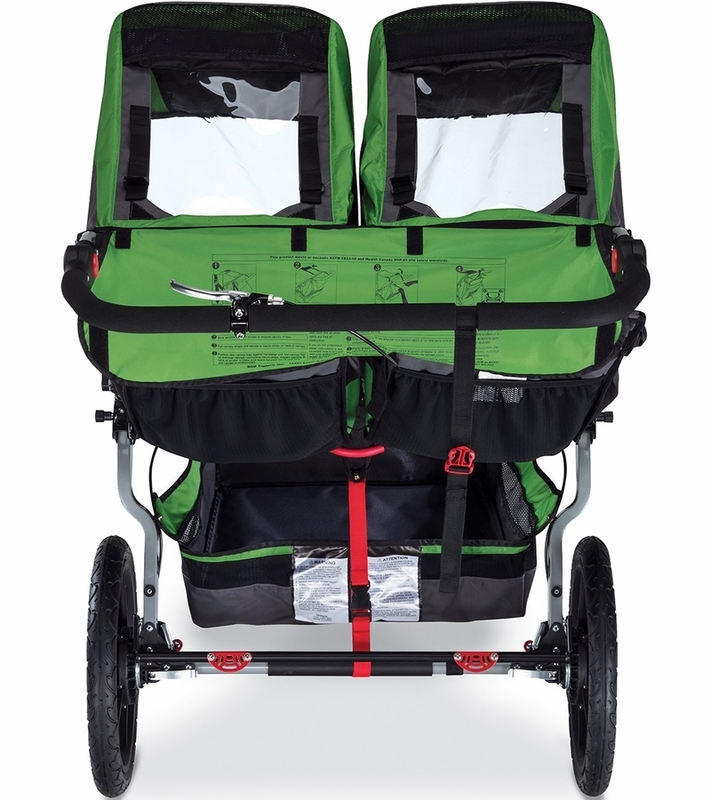 Adjustable padded handlebar creates the perfect fit for any parent�s height with 9 comfortable position options. Multi-position canopy adjusts for protection against the elements. Large viewing window lets you keep an eye on your babies. Love the suspension...its big as expected. One rear tire went flat in first two weeks, wasn't too happy about having to deal with that. 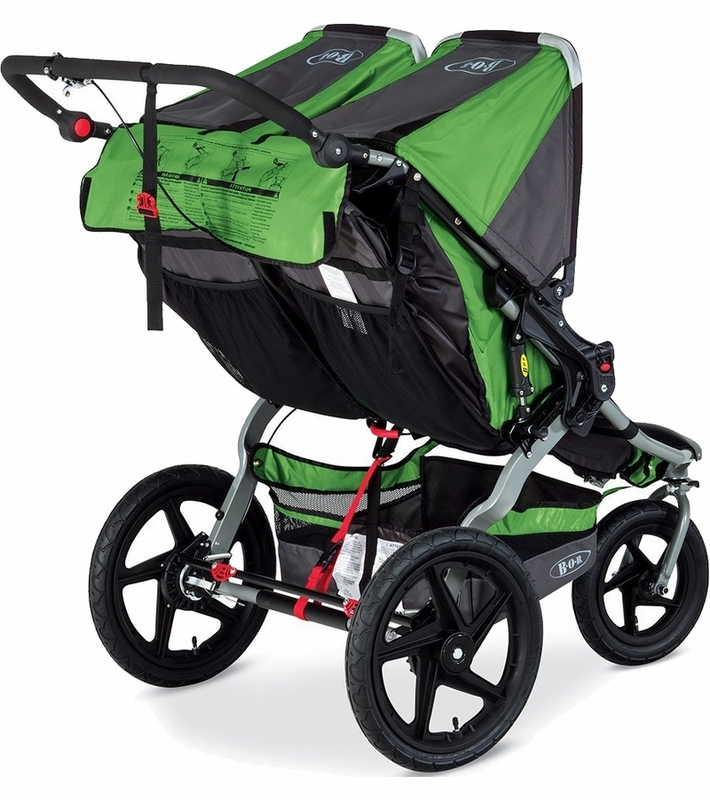 Also wish a stroller at this price point would come with drink holders for the parents and kids. Had to buy both separate. Rides nice, love the brake. Had to re-tighten front wheel on a couple occasions to eliminate a rocking noise. 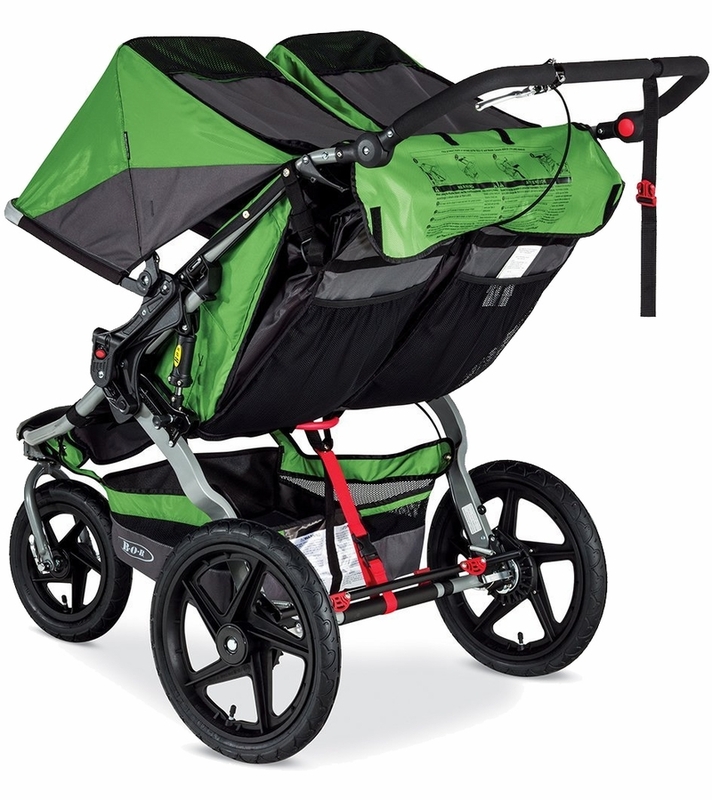 I love this stroller because it is effortless. I can handle two kids easily with one hand! Love our duallie!!! 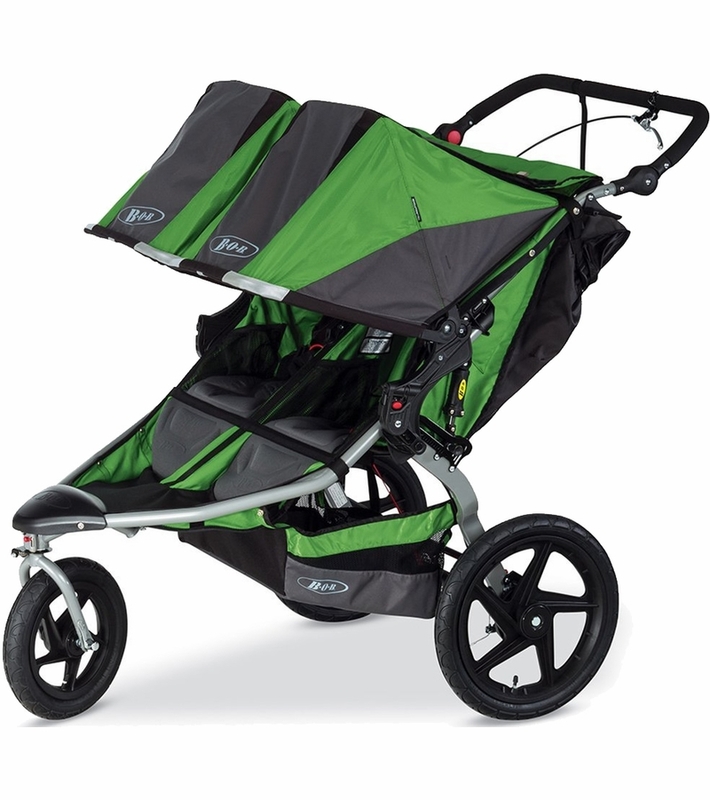 It's perfect for the zoo, walks, runs, everything. Pushes with just one hand. My husband and I recommend to everyone we meet!!! Getting in the car is trickier than our single Bob but after a few practices we got it down!! 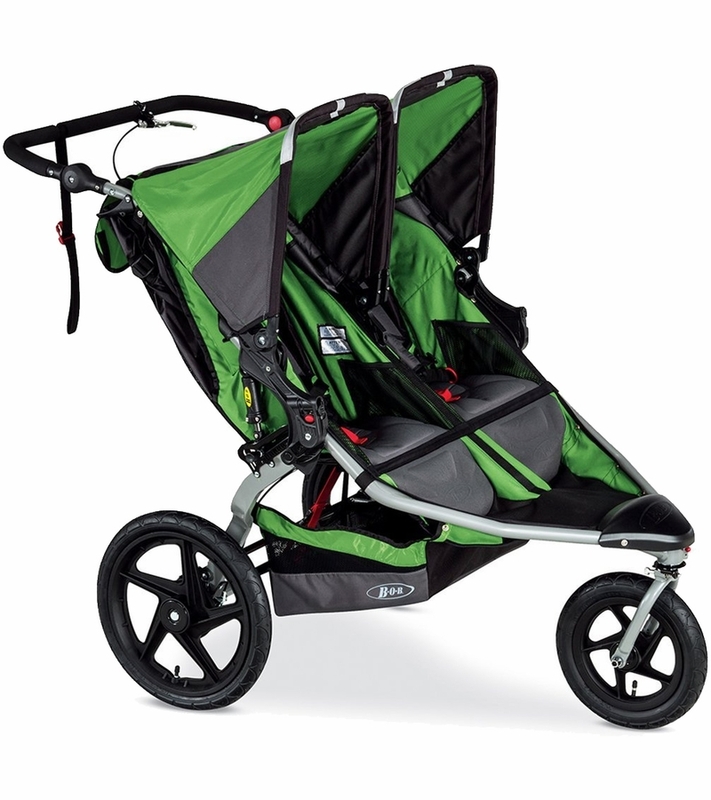 We tried numerous jogging strollers because we didn't want to invest the amount of a Bob. Ending up spending more on 'other' joggers then if we would have just gone to the Bob in the first place! !